You read about advances in biotechnology every day in the newspaper, and hear about it on TV, but sometimes the science is a little over your head. Brush up on your knowledge with explanations for some common biotechnology terms to help you understand some of the latest breaking news. Enzymes are proteins that catalyze specific biochemical reactions in cells. They are important tools in biotechnology for the industrial production of bioproducts, and for other processes related to cleaning (e.g., degreasing, remediation), digestion (e.g., cellulases, deinking, bleaching in the pulp and paper industry) and more. Genetic modifications to enzymes through protein engineering techniques such as site-directed mutagenesis and DNA shuffling have allowed scientists to enhance the catalytic properties of certain enzymes under specific industrial conditions such as extremes of temperature or pH, or the presence of harsh chemicals. What Does GMO Stand For? GMO stands for genetically modified organism. This refers to bacteria or other microorganisms, or multicellular organisms such as plants and animals, whose genetic makeup has been altered by scientists. Often, GMOs are produced using gene cloning methods as a means of introducing a non-native gene into a new "recombinant" organism. An example of this is the introduction of genes for natural pesticides into non-native crop plants, to enhance insect resistance and reduce the need for chemical pesticides. There are numerous applications for GMOs in the biotech industry. However, they are often viewed as suspect by many and public controversy surrounds their use in food, drug, and other commercial products. In biotechnology, one meaning of the term "clone" is any living organism (or the production of such an organism) with genetic material that is identical to that of the parent organism from which it was created. A second meaning refers to cloning DNA, or the act of creating copies of an individual gene, for expression in a foreign host, which leads to the generation of exact replica macromolecules (e.g. DNA, RNA, proteins). Buffers are solutions that have the capacity withstand the addition of small amounts of protons and/or hydroxide ions, or undergo dilution, without a dramatic change in pH. They are comprised of a mixture of a weak acid and its conjugate base, or a weak base and its conjugate acid. The buffering action is a result of the equilibrium between the acid-base pair. Optimum buffering capacity occurs when the components of the acid-base pair are present at nearly the same concentrations. When they are present in equal amounts, the buffer will resist pH changes in the range of its pKa (acid dissociation constant). Getting a patent is the best way to protect your IP. The length of time from filing at patent to getting approval varies depending on where the application is filed. In the US, the process generally takes about 2 1/2 years. The processing time depends on whether or not the examiner rejects the claim based on prior patents, and whether the new patent application has to undergo amendments. Of course, the overall time required to get a patent also depends on the time required for research and development, prior to filing, and, in the case of new drugs, clinical studies, all of which can take 10+ years. Why Are New Drugs so Expensive? The entire process of bringing a new drug to market involves years of laboratory research and development, animal trials, toxicity testing and, finally, clinical trials. Typically, this process plus the patent filing takes over 10 years, so it is a long time before the pharmaceutical company can start earning any payback for its investment which can amount to hundreds of millions of dollars. Obviously, the company needs to earn back some of that investment, so the costs are passed on to consumers. How Are Biochemical Solutions Sterilized? In the mid-1800s, the process of pasteurization was described by Louis Pasteur, who discovered that heating solutions to moderate temperatures would reduce the numbers of contaminating live microorganisms. This research laid the groundwork for the development of today's autoclaves: Instruments in which solutions and dry materials are heated under pressure, for sterilization. Materials are heated rapidly, typically to about 121 degrees Celsius, under a pressure of about 15 psi. The high pressure prevents liquids from boiling over, thus allowing such high temperatures to virtually eliminate most live microorganisms. Remediation is the restoration of contaminated land, air or water from a contaminated state. Bioremediation is the process of utilizing live organisms (typically bacteria, but sometimes plants) to accumulate, transform or (usually) degrade chemical contaminants. When plants are used, the process is referred to as phytoremediation. 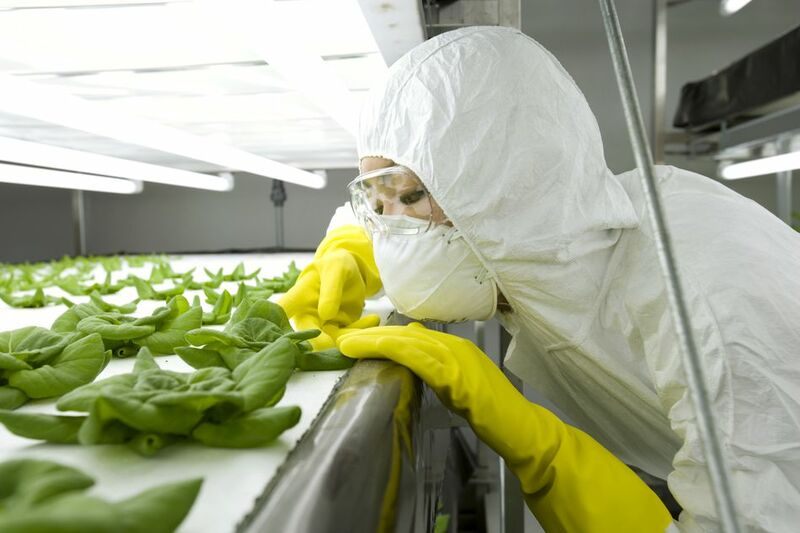 Phytoextraction is a technique whereby plants are used to bioaccumulate non-degradable materials, typically metals, which are thus removed from the soil, and then removed from the environment during harvesting. The most widely known source of stem cells is human/animal embryos, prompting controversy over stem cell research based on bioethics and the view that life begins at conception. It is now known that stem cells can also be obtained from placenta and amniotic fluids, and pluripotent cells can be derived from adult cells of the skin, blood, and other tissues. Research on the use of stem cells from non-embryonic sources has received more attention in recent years as scientists in some countries, particularly the US, are forced to search for publicly accepted, ethical alternatives. Where Do Pharmaceutical Companies Get Subjects for Drug Trials? Clinical trials on human subjects are an important step in the development of new drugs and help assess both their safety and efficacy. For many new drug trials, healthy volunteer subjects are needed and are usually paid, up to $10,000 for their participation, depending on the risks. Individuals interested in becoming a test subject can access lists of upcoming drug trials online or can investigate the research programs at individual universities and teaching hospitals. Patients with existing conditions can enroll in drug trials through the same process as healthy subjects or might be referred by their doctor.